With summer right around the corner, it's time to supercharge your workouts with these fat-burning, muscle-building supplements! All right ladies, you&apos;ve been absolutely killing it in the gym the past few months, you haven&apos;t missed a day of your training plan, and you&apos;ve become an expert in counting macros. Now that your training and nutrition are on point, it&apos;s time to take your transformation to the next level! With bikini season right around the corner, there&apos;s no better time to pump up your lean-mass gains and accelerate your fat loss with these powerful supplements! If the word "supplement" conjures images of your face atop Arnold Schwarzenegger&apos;s physique, don&apos;t worry; women produce significantly less testosterone than their male counterparts. Supplements, as the name suggests, are there to supplement an already-dialed-in training and nutrition plan. However, they can also give you that extra boost in the gym you may be looking for. You&apos;re not going to find a magic pill to help you shed those last few pounds of unwanted body fat or get you to your ideal physique overnight, but adding these research-backed supplements to your current plan will help get you beach ready in no time! You&apos;ve put in long hours hitting the weights and becoming BFFs with the treadmill in order to shed those final few pounds for your upcoming beach vacation. Before you add another day of cardio or ditch your beloved cheat meal, consider adding in one of these well-supported supplements to help you with your weight-loss goals. If your goal is to lose fat, make protein your priority. Increased protein consumption is associated with higher rates of satiety (feeling of fullness) and thermogenesis (energy expenditure).1 Simply adding an extra 20 grams of whey protein per day has been shown to increase fat loss over a placebo.2 As a bonus, protein powders are easy to consume while on the go and provide a high-quality, easily digestible, rapidly absorbed protein source. You already know caffeine is the perfect pick-me-up in the morning, but did you know that caffeine can also help rid you of those last few pounds? Don&apos;t get carried away here—you&apos;re not going to see results just sitting on the couch drinking an iced white chocolate mocha. 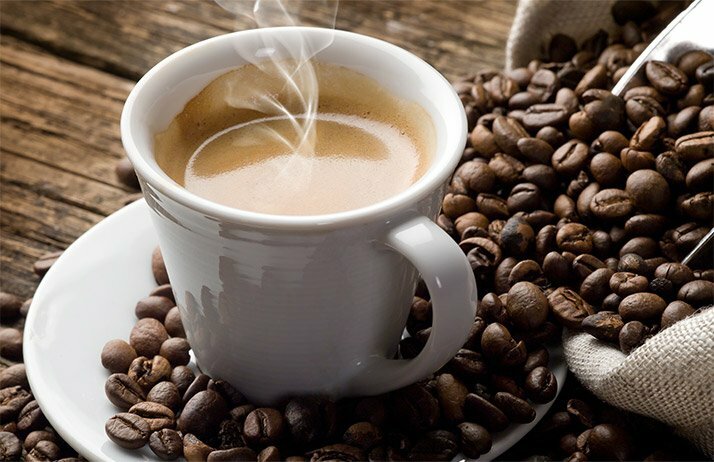 You still have to hit the gym to get the full benefits of caffeine, but studies have shown that supplements containing caffeine can increase the rate of lipolysis (the breakdown of fat) and improve perceived exertion of exercise.3,4 Additionally, it&apos;s been shown to increase energy expenditure by an average of 15.4 percent.5 In other words, you can expect an increased rate of fat burning and a seemingly easier workout. Doesn&apos;t get much better than that, does it? Take 200-300 milligrams 30-60 minutes before your workout. You already know caffeine is the perfect pick-me-up in the morning, but did you know that caffeine can also help rid you of those last few pounds? Fish oil does more than support a healthy heart. Adding 2 grams (2000 milligrams) of fish oil to your diet can increase the rate of fat breakdown and may even help increase fat-free mass.8,9 It can also help reduce some of the inflammation and soreness associated with dieting and higher amounts of exercise. If a potential for fishy burps sounds unappealing, just add a bit of soybean oil, canola oil, flaxseed oil, or rapeseed oil to your diet instead. These oils provide the same omega-3 fatty acids as fish oil. The zones vary in the number of reps and intensity of the exercise. In order to achieve positive adaptations to your muscles, you must first break down the muscle by undergoing a mechanical stress (lifting weights) and then rebuilding the muscle (protein synthesis). Women should train their muscles just as often as men—do you think Jen Jewell got the body she has by skipping the weights? Not even a chance. Don&apos;t fret—these supplements won&apos;t have you looking like you&apos;re ready for Muscle Beach in Venice. They will, however, increase you gym performance and help you get you beach-ready. You may be under the impression that creatine leads to weight gain. I can&apos;t tell you how many times I&apos;ve had to listen to a guy at the gym brag about how he took creatine and instantly gained 10 pounds of muscle. This won&apos;t happen to you, ladies. To minimize any potential weight gain and water retention, I recommend taking 3-5 grams per day for a period of at least 28 days. It&apos;s even been demonstrated that creatine supplementation in females may lead to significantly increased strength in as little as five weeks. Consuming 20 grams of whey protein pre- or post-workout may increase protein synthesis and recovery following resistance training.11 I recommend combining whey and casein protein after your workouts, as the combination triggers the greatest increase in lean mass.12 With its multiple benefits, a protein supplement should absolutely be part of your nutrition regimen. Check the ingredient labels on a variety of pre-workout and post-workout supplements. These products often contain several of the ingredients you need and may be easier to consume than multiple individual supplements. Once fatigue sets in, trying to finish that last set of lunges or your final few intervals on the treadmill can seem nearly impossible. Supplementing with beta-alanine may help you finish out those last few reps or give you the extra boost to run a little bit faster on each interval. Take 3-6 grams of beta-alanine daily to help improve the buffering capacity of your muscles, ultimately leading to improvements in high-intensity exercise. Get into your favorite bikini faster! Weiss, L. W., Cureton, K. J., & Thompson, F. N. (1983). Comparison of serum testosterone and androstenedione responses to weight lifting in men and women. European Journal of Applied Physiology and Occupational Physiology, 50(3), 413–419. Johnston, C. S., Day, C. S., & Swan, P. D. (2002). Postprandial thermogenesis is increased 100% on a high-protein, low-fat diet versus a high-carbohydrate, low-fat diet in healthy, young women. Journal of the American College of Nutrition, 21(1), 55–61. Costill, D. L., Dalsky, G. P., & Fink, W. J. (1977). Effects of caffeine ingestion on metabolism and exercise performance. Medicine and Science in Sports,10(3), 155-158. Lara, B., González-Millán, C., Salinero, J. J., Abián-Vicén, J., Areces, F., Barbero-Alvarez, J. C., et al. (2014). Caffeine-containing energy drink improves physical performance in female soccer players. Amino Acids, 46(5), 1385-1392. Dalbo, V. J., Roberts, M. D., Stout, J. R., & Kerksick, C. M. (2008). Acute effects of ingesting a commercial thermogenic drink on changes in energy expenditure and markers of lipolysis. Journal of the International Society of Sports Nutrition, 5(1), 6. Larson-Meyer, D., Hunter, G., Trowbridge, C., Turk, J., Ernest, J., Torman, S., & Harbin, P. (2000). The Effect of Creatine Supplementation on Muscle Strength and Body Composition During Off-Season Training in Female Soccer Players. The Journal of Strength and Conditioning Research, 14(4), 434-434. Tipton, K. D., Elliott, T. A., Cree, M. G., Aarsland, A. A., Sanford, A. P., & Wolfe, R. R. (2007). Stimulation of net muscle protein synthesis by whey protein ingestion before and after exercise. American Journal of Physiology. Endocrinology and Metabolism, 292(1), E71-6. Kerksick, C. M., Rasmussen, C. J., Lancaster, S. L., Magu, B., Smith, P., Melton, C., ... & Kreider, R. B. (2006). The effects of protein and amino acid supplementation on performance and training adaptations during ten weeks of resistance training. The Journal of Strength & Conditioning Research, 20(3), 643-653.